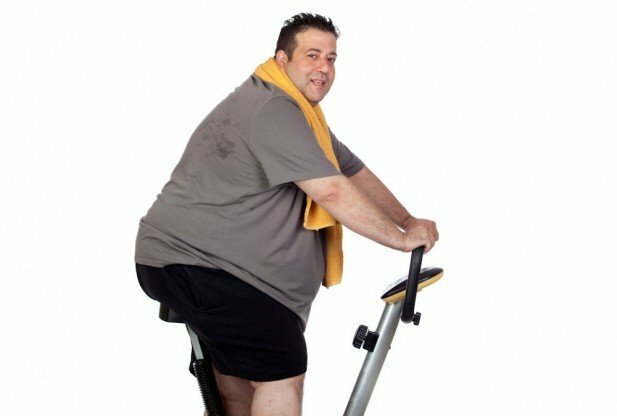 A major study on body mass index (BMI) evolution has found that there are now more adults in the world classified as obese than underweight. The new study, led by scientists from Imperial College London and published in The Lancet, compared BMI among almost 20 million adult men and women from 1975 to 2014. 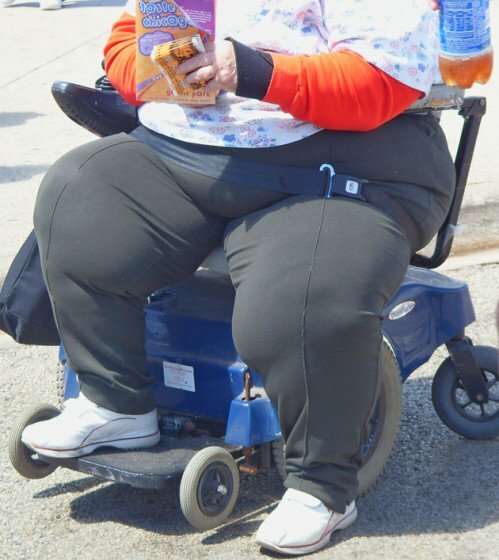 The researchers found obesity in men has tripled and more than doubled in women. Lead author Prof. Majid Ezzat said it was an “epidemic of severe obesity” and urged governments to act. Meanwhile, the number of underweight people had risen from 330 million to 462 million over the same period. Global obesity rates among men went up from 3.2% in 1975 to 10.8%, while among women they rose from 6.4 % in 1975 to 14.9%. 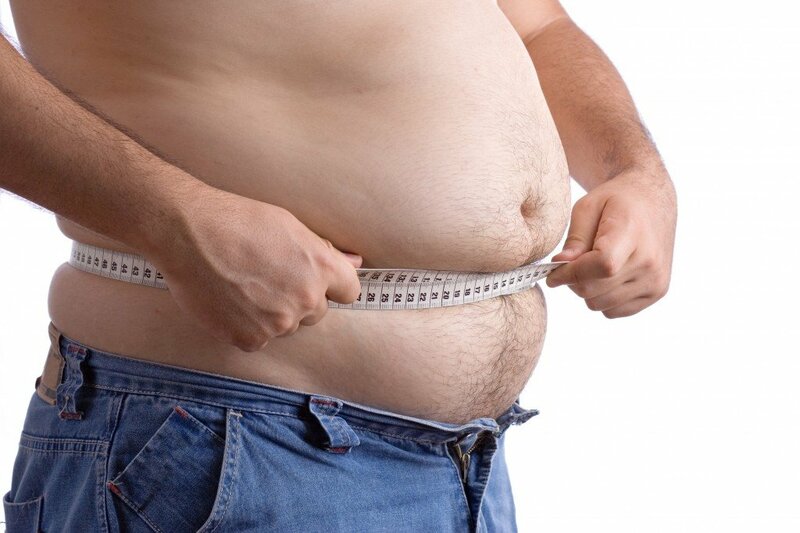 This equates to 266 million obese men and 375 million obese women in the world in 2014, the study said. The research also predicted that the probability of reaching the WHO’s global obesity target – which aims for no rise in obesity above 2010 levels by 2025 – would be “close to zero”. The clinical definition of obese is a BMI – a measurement that relates weight and height – of 30kg/m2. Prof. Majid Ezzati said: “Our research has shown that over 40 years we have transitioned from a world in which underweight prevalence was more than double that of obesity, to one in which more people are obese than underweight. “We hope these findings create an imperative to shift responsibility from the individual to governments and to develop and implement policies to address obesity. 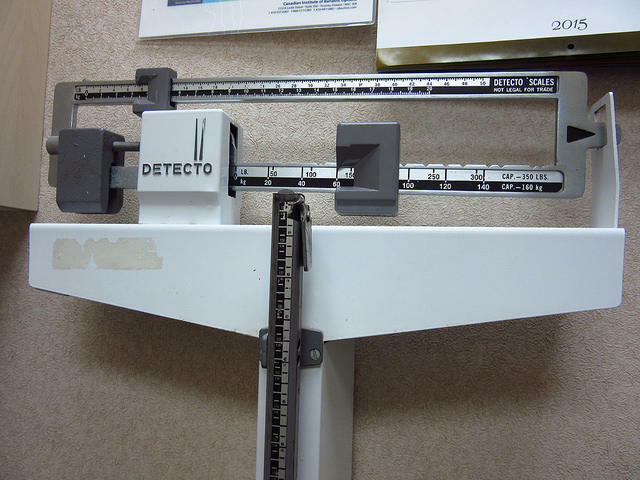 The team also examined the number of people who are underweight, and over the same time period the study suggested the rates had fallen from 14% to 9% in men, and 15% to 10% in women. According to British experts, a Mediterranean diet may be a better way of tackling obesity than calorie counting. Signatories of the piece included the chair of the Academy of Medical Royal Colleges, Prof. Terence Stephenson, and Dr. Mahiben Maruthappu. They criticize the weight-loss industry for focusing on calorie restriction rather than “good nutrition”. 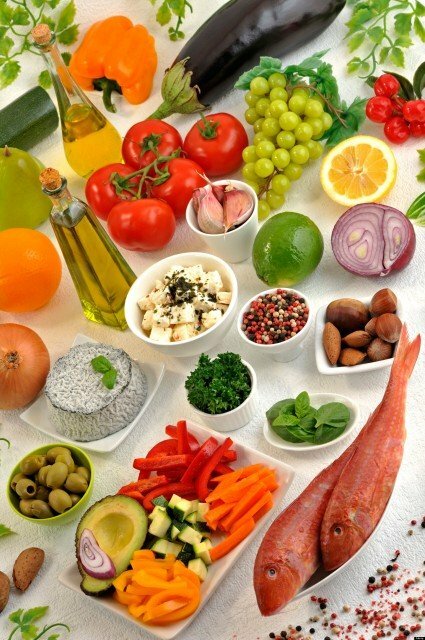 And they make the case for a Mediterranean diet, including fruit and vegetables, nuts and olive oil, citing research suggesting it quickly reduces the risk of heart attacks and strokes, and may be better than low-fat diets for sustained weight loss. The lead author, cardiologist Dr. Aseem Malhotra, says the scientific evidence is overwhelming. Inspired by traditional cuisine of countries such as Greece, Spain and Italy, the Mediterranean diet has long been associated with good health and fit hearts. Typically, it consists of an abundance of vegetables, fresh fruit, wholegrain cereals, olive oil and nuts, as well as poultry and fish, rather than lots of red meat and butter or animal fats. Obesity puts people at greater risk of developing 10 of the most common cancers, according to research in the Lancet medical journal. Scientists warn if obesity levels continue to rise there may be an additional 3,700 cancers diagnosed annually. Scientists from the London School of Hygiene and Tropical Medicine researchers gathered data on five million people living in the UK, monitoring changes to their health over a period of seven years. They found each 2-2.5 stone of extra weight an average adult gained was linked firmly and linearly to a greater risk of six cancers. How big this risk was varied depending on tumor type. However, the effects for these cancers were less clear-cut and were influenced by individual factors such as the menopause. There is some evidence to suggest a higher BMI is associated with a lower chance of getting prostate cancer. Dr. Krishnan Bhaskaran, who led the research, said: “There was a lot of variation in the effect of BMI on different cancers. A large international study suggests that type 2 diabetes is more common in people who work shifts. 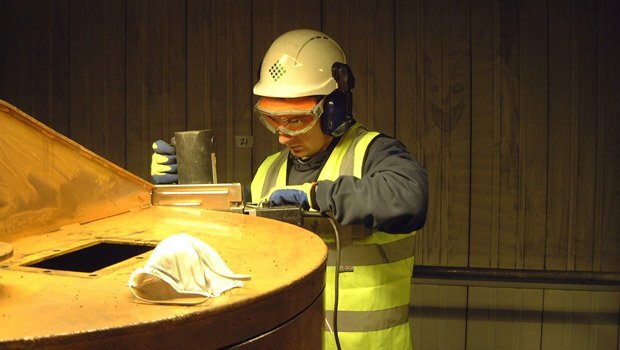 The findings, published in Occupational and Environmental Medicine, indicated men and those doing rotating shifts were at highest risk. It is thought that disruption to the body clock affects waistlines, hormones and sleep – which could increase the risk. Type 2 diabetes can lead to blindness, increase the risk of heart attacks and strokes, as well as damaging nerves and blood vessels – dramatically increasing the risk of a foot needing to be amputated. Studies in a sleep laboratories have shown that making people snooze at the wrong time of day led to the early stages of type 2 diabetes developing within weeks. Now an analysis of data from 226,652 people strengthens the link with type 2 diabetes. The study, by researchers at Huazhong University of Science and Technology in China, showed shift workers were 9% more likely to have type 2 diabetes. But in men, the figure was 35%. For people chopping and changing between day and night shifts, the risk increased by 42%. The researchers said: “The result suggests that male shift workers should pay more attention to the prevention of diabetes. Possible explanations include shift work disrupting sleeping and eating patterns. One idea is that eating late at night makes the body more prone to store the energy as fat, increasing the risk of obesity and in turn type 2 diabetes. The increased risk in men could be down to changes in levels of male hormones, it has been suggested. Also, because the studies are looking at only one snapshot in time it is impossible to say definitively that shift work causes diabetes as other factors could be at play. The type of person more prone to type 2 diabetes may be more likely to become a shift worker. 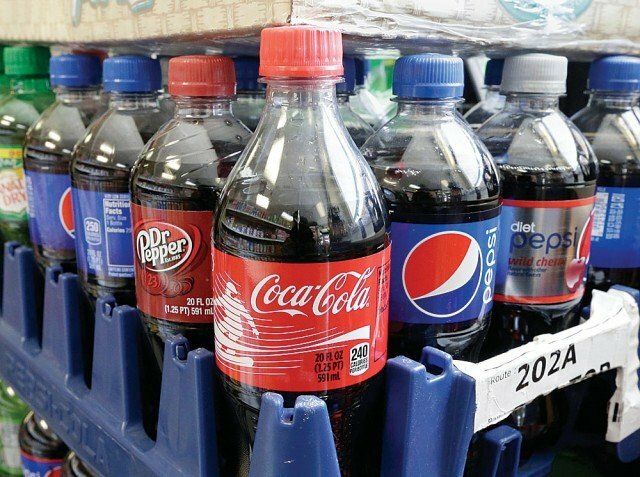 San Francisco city has approved a measure for the November ballot that would place a two-cents-per-ounce municipal tax on sodas and other sugary beverages. San Francisco is hoping to become the first major city to successfully impose such a levy. 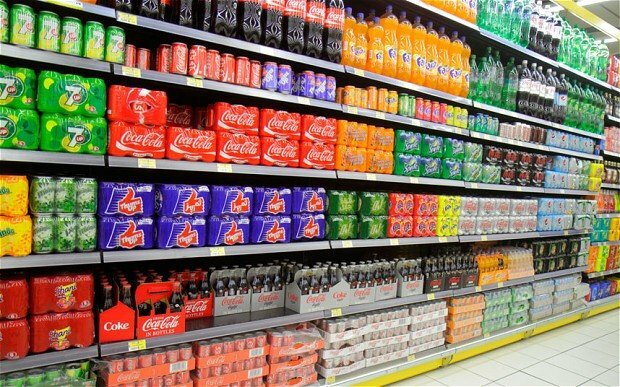 Other US cities have tried and ultimately failed to tax sugary drinks. Among them has been Richmond, California, across the bay from San Francisco, where a penny-an-ounce tax was defeated after a multimillion-dollar campaign by the American Beverage Association. San Francisco’s plan, which was approved on July 22 by a 6-4 vote of the board of supervisors, would be applied to any nonalcoholic, sweetened drink with more than 25 calories per 12 ounces. “I think the nation is watching what happens here,” said John Maa, a surgeon on the board of directors at two organizations that support the measure, San Francisco Medical Society and American Heart Association. 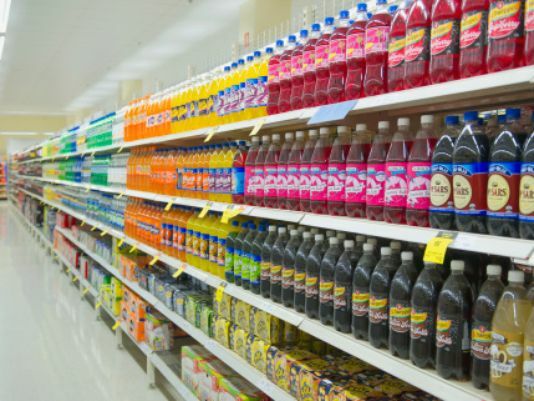 Roger Salazar, a spokesperson with Coalition for an Affordable City: Stop Unfair Beverages Taxes, a project of the American Beverage Association, said that if the city wants to educate people about health issues it should do so without taxing the most needy. 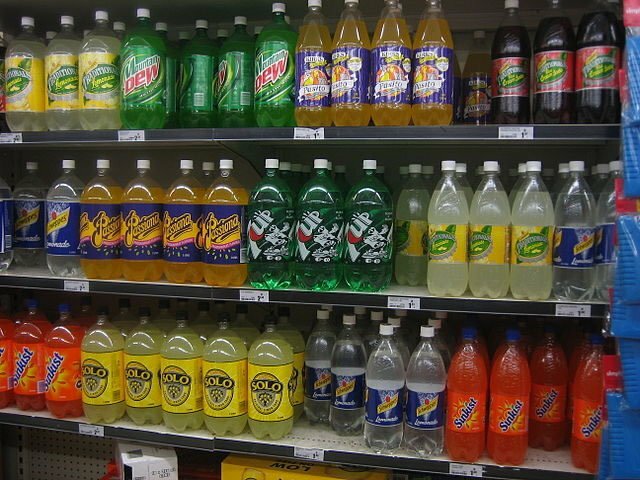 “Taxing sugar sweetened beverages won’t alter lifestyle,” Roger Salazar said. San Francisco’s office of economic analysis estimates that the tax would bring in $35 to $54 million per year and, if it’s passed directly on to consumers, as expected, it could reduce consumption by 31%. Income from the tax would go towards funding city programs to improve food access, health and nutrition. According to a recent research from the University of Cambridge, one in three cases of Alzheimer’s disease worldwide is preventable. 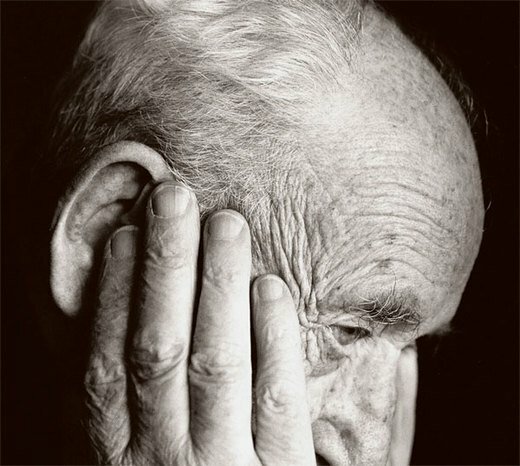 According to the study, published in The Lancet Neurology, the Cambridge team analyzed population-based data to work out the main seven risk factors for Alzheimer’s disease. The researchers worked out that a third of Alzheimer’s cases could be linked to lifestyle factors that could be modified, such as lack of exercise and smoking. They then looked at how reducing these factors could affect the number of future Alzheimer’s cases. Current estimates suggest that more than 106 million people worldwide will be living with Alzheimer’s by 2050 – more than three times the number affected in 2010. Prof Carol Brayne, from the Institute of Public Health at the University of Cambridge, said: “Although there is no single way to treat dementia, we may be able to take steps to reduce our risk of developing dementia at older ages. “We know what many of these factors are, and that they are often linked. 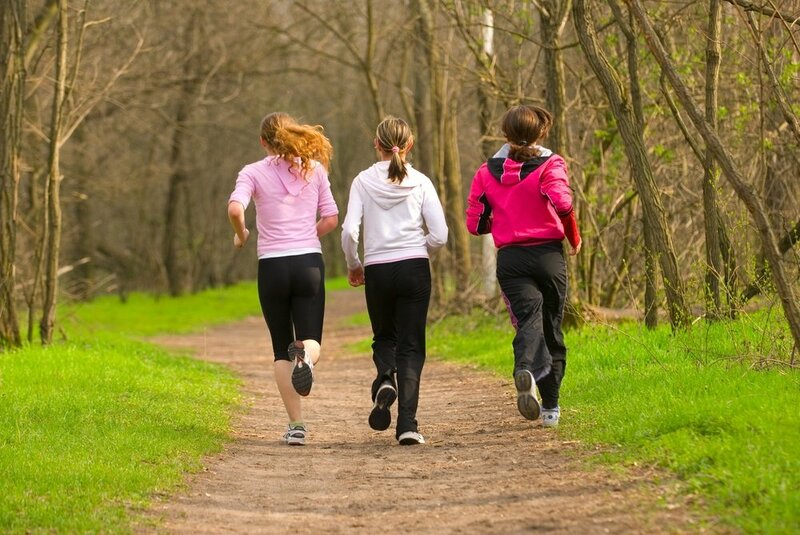 “Simply tackling physical inactivity, for example, will reduce levels of obesity, hypertension and diabetes, and prevent some people from developing dementia. Of the seven risk factors, the largest proportion of cases of Alzheimer’s in the US, UK and the rest of Europe can be attributed to physical inactivity. A new study has found that sleeping in a room with too much light has been linked to an increased risk of obesity. Their answers were compared to several measures of obesity. Body Mass Index (BMI), waist-to-hip ratio and waist circumference were all higher in women with lighter rooms. According to a study published in the European Journal of Obesity, most people weigh the most on Monday mornings and the least by Friday. The new study found that you are more likely to gain weight during the weekend and lose it throughout the week. Eighty men and women recorded their weight every morning before breakfast for nearly a year. When researchers examined the numbers, they identified a distinct trend for weight gain on weekends and weight loss during the weeks. However, researchers found that what sets people who ultimately lose weight throughout the year apart from those who gain is that losers shed more pounds during the weekdays. They are also more likely to adhere to this pattern than those who gain – losers hit their lowest weight around Friday 74% of the time. 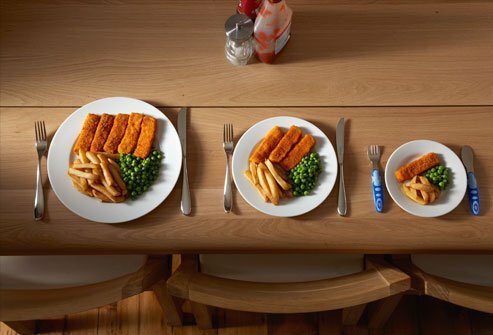 Professor John Blundell from the Institute of Psychological Sciences at the University of Leeds warns the term “food addiction” is being used far too freely. Some have likened food addiction to drug addiction, and then used this term to associate it with overeating, and as a clinical explanation for the obesity epidemic, implicating millions of people. The use of the term “food addiction” is a step towards medicalization and implies that normal human social behavior is pathological. Forms of eating therefore become an illness. This attitude is not helpful and has huge implications for the way in which people view their own behavior and their lives. The concept of food addiction comes from a combination of experimental data, anecdotal observations, scientific claims, personal opinions, deductions and beliefs. It is an over-simplification of a very complex set of behaviors. The existing evidence fails to define the precise characteristics of the actual foods concerned or the eating environment that underlies the assumed addiction risk. This is in contrast to drug addiction, where the molecule is identified and its pharmacological effect on the brain is characterized. Animal studies have shown changes to specific brain regions in those given a sugary diet – and human brain scans show activation of reward systems in the same part of the brain when sweet tastes are consumed. Therefore, it is not surprising that reward centres are activated when sweet foods are consumed, as we know that the reward circuits in the brain have been established through evolution as signalling systems that control our appetite. Many stimuli influence these areas of the brain and, in addition, there is an intrinsic drive to consume carbohydrate-rich foods to satisfy a basic metabolic need of the brain. Sweetness is a major signal for such foods but the science has not yet assessed this fully and much more work is needed before we could say that food is addictive. Prof. John Blundell many people may potentially latch on to the concept of food addiction as an excuse to explain their overeating – the premise that it’s “not my fault” and therefore, “I can’t help it”. This removes the personal responsibility they should feel and could act on – and they infer that their eating is a form of disease. Food addiction may offer an appealing explanation for some people but the concept could seriously hinder an individual’s capacity for personal control. Binge eating disorder does exist – but it is a rare clinical condition affecting fewer than 3% of obese people. 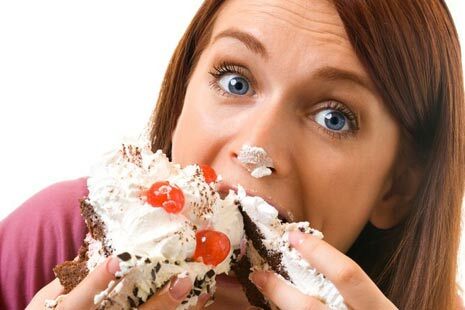 Sufferers have a strong compulsion to eat, which persists alongside the sense of a loss of control. 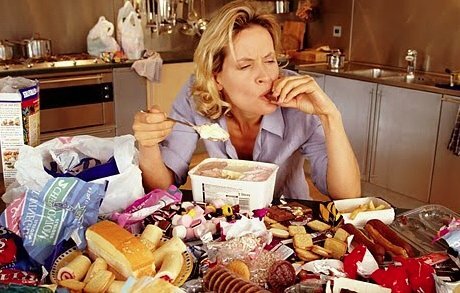 Addiction-like food behavior may be a component of the severe and compulsive form of binge eating disorder. 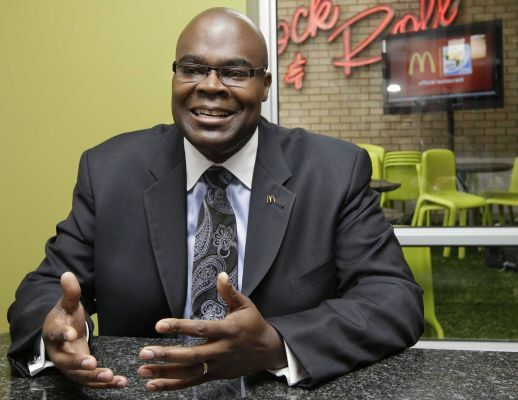 McDonald’s CEO Don Thompson has claimed he lost 20 lbs in weight, despite eating from the chain’s menu every day. Don Thompson said he regularly worked out at a gym to lose the pounds but did not stop wolfing down the fast food meals whenever he could. But his claims were met with skepticism on Twitter with some branding it the “McDiet” and asking him to “prove it”. Last week McDonald’s unveiled its most unhealthy item ever, the Mega Potato, which is a double size portion of fries. At 1,142 calories Mega Potato is more than half the recommended daily calorie intake for a woman. Don Thompson said he shed the weight over the course of a year by getting up early in the mornings and going to the gym. The fast food boss insisted he still ate at McDonald’s ‘every single day’, although he did not specify what he chose from the menu. He admitted that despite McDonald’s trying to rebrand itself as healthier, its salads make up only 2-3% of sales. But the McDonald’s CEO claimed the company was making efforts to include more vegetables in its meals. Don Thompson, who has been on the job for less than a year, was responding to a question about how the company is adapting amid growing concerns about obesity when he pointed out his slimmer frame. He said that he lost the weight by getting active again and noted that it’s rare to see Europeans that are “very, very heavy” because they walk a lot. “And so I think that balance is really important to people,” he said. “I don’t see salads as being a major growth driver in the near future,” Don Thompson told investors in New York this week, according to Bloomberg News. It’s no wonder the salads have failed to lure health conscious diners when they are often as fat-laden as a Big Mac and boast names such as Bacon Ranch and Southwest Crispy Chicken. In comparison to poor salad sales, the restaurant’s Dollar Menu generates 13-14% of U.S. business, he said. However, Don Thompson claims the company isn’t giving up on selling fruit and vegetables. For instance, some of McDonald’s new McWraps have tomato, cucumber slices and shredded lettuce inside, he said. McDonald’s first added tossed salads to its U.S. menu in 1987. Bloomberg News reported earlier this month that it is considered ditching Caesar salads after it already got rid of Fruit & Walnut salads from its menu this year. McDonald’s shares fell more than 2.2% to close at $98.28 on Wednesday, after the announcement. At one point they declined as much as 2.9% for the biggest intraday drop since October 19 and they continued to fall on Thursday. The shares gained 15% this year through to Tuesday. In comparison, the Standard & Poor’s 500 Index advanced 16%. The chain announced it was axing its Fruit & Walnut salad in March after competitors Burger King Worldwide Inc and Wendy’s Co began closing the gap with McDonald’s. McDonald’s, the world’s biggest hamburger chain for years, held a huge lead against most rivals, but some of those chains now are luring away diners with fast-changing menus featuring tempting new food. 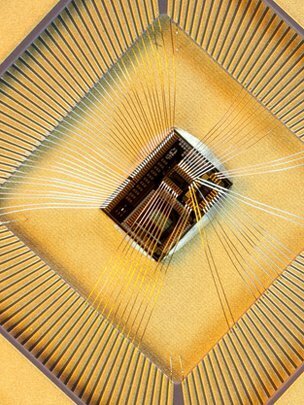 An “intelligent” microchip which can suppress appetite has been designed by a group of British scientists. Human trials of the implant could begin within three years, say its makers. The work is being led by Prof. Chris Toumazou and Prof. Sir Stephen Bloom of Imperial College London. It involves an “intelligent implantable modulator”, just a few millimetres across, which is attached using cuff electrodes to the vagus nerve within the peritoneal cavity found in the abdomen. The researchers say identifying chemicals rather than electrical impulses will make for a more selective, precise instrument. The project has just received over 7 million euros ($9 million) in funding from the European Research Council. A similar device designed by the Imperial team has already been developed to reduce epileptic seizures by targeting the same vagus nerve. “This is a really small microchip and on this chip we’ve got the intelligence which can actually model the neural signals responsible for appetite control,” Prof. Chris Toumazou said. “And as a result of monitoring these signals we can stimulate the brain to counter whatever we monitor. Prof. Chris Toumazou said initial laboratory trials had already demonstrated proof of concept. Prof. Stephen Bloom, who heads Imperial’s diabetes, endocrinology and metabolism division, said the chip could provide an alternative to “gross surgery”. In a fascinating new book, Robert Lustig, a professor of clinical pediatrics at the University of California, expounds a whole new scientific theory about eating too much. Robert Lustig argues that the urge to overeat and lounge around doing nothing is not a sign of weakness. As one of two “hunger hormones” in the body, leptin works to decrease the appetite (its partner, ghrelin, increases appetite). Professor Robert Lustig warns that our sweet tooth is sending this process haywire. For many years scientists thought obesity could be caused by a shortage of leptin – thinking that without adequate levels, overweight people simply never received the message that they were full. But more recent studies have shown that obese people have plenty of leptin (in fact, the fatter you are, the more of it you appear to have), but are more likely to be “leptin-resistant”. This means the cells in the brain that should register leptin no longer “read” the signals saying the body is full, but instead assume it is starving – no matter how much food you continue to eat. In panic, the brain pumps out instructions to increase energy storage – instigating powerful cravings for high-fat, high-sugar foods because these are the easiest and most immediate forms of energy – and conserve energy usage, by dampening any urge to get up off the sofa and go for a run. The food cravings are made even more intense – and impossible to resist – because leptin is supposed to dampen the feeling of pleasure and enjoyment you get from food by suppressing the release of the brain chemical dopamine, helping to decrease appetite. This, says Prof. Robert Lustig, is why many overweight people find it so hard to stop eating, and why diets so often fail. But now Prof. Robert Lustig and his team have been able to show – in repeated studies on humans – that too much sugar in the diet is to blame. But repeated insulin spikes, due to a high sugar diet, can lead to a condition called “insulin resistance” (when the cells have been so bombarded by insulin they no longer respond to it). Prof. Robert Lustig believes insulin resistance triggers leptin resistance, and, crucially, he has discovered that by reducing insulin levels it is possible to improve “leptin signalling” (the brain’s ability to read leptin), stop cravings, put the brakes on food consumption – and trigger weight loss. In his new book Fat Chance, Professor Lustig explains that leptin resistance – and sugar – is at the root of the obesity epidemic. He believes 1.5 billion overweight or obese people in the world suffer from this condition – and is convinced that the problem can be tackled by targeting insulin. In his studies, many participants took insulin-lowering drugs, but the professor says similar results can be achieved by a few small lifestyle changes – notably reducing sugar in your diet. 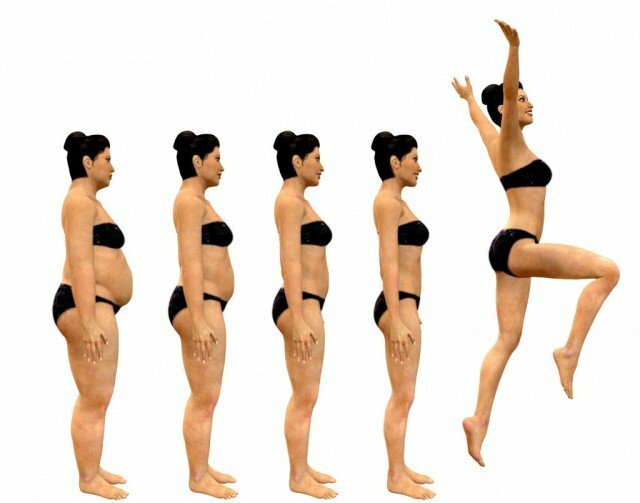 He used organized trials to study the role the brain plays in governing appetite and activity levels and found that patients who had damage to the hypothalamus (the area of the brain that controls energy levels) could not lose weight, but somehow gained weight even when restricted to a near-starving 500 calories a day. Robert Lustig realized that a similar process could be happening with obese adults and set out to investigate a potential solution. His studies revealed that the roles of leptin and insulin are intertwined, and bind to cells in the same area of the brain – the hypothalamus. While leptin activates biochemical reactions that send “satiety signals” to the brain, insulin can very effectively block these signals, resulting in no satiety, no sense of fullness, and uncontrolled eating of high fat, high sugar foods. This is leptin resistance, and leaves the brain “blind” to leptin signals, so it still thinks we’re hungry. Robert Lustig believes that our high sugar diets cause continually stimulated insulin production. He says insulin resistance is now so widespread, it affects the majority of overweight people and even as many as 40% of those who are normal weight (if they eat too much sugar and refined carbohydrates like white flour, bread, pasta and rice). And leptin resistance becomes more of a problem with increasing body size. “Plump people might have a little leptin resistance, but the morbidly obese will have a lot,” he says. The sweet, processed food that makes up so much of the modern diet (much of it disguised as ‘low fat’ and therefore healthy) has addictive qualities – particularly for those caught up with leptin resistance. When we eat food, the brain chemical dopamine is released, creating a feeling of pleasure and reward, explains Prof. Robert Lustig. But, he adds, if you’re leptin-resistant, the dopamine won’t be suppressed properly, and it remains at high levels in the brain, and “floods” the brain cells. After many meals (over a period of about three weeks) brain cells may start to become “tolerant” to these persistently high levels of dopamine. This, Prof. Robert Lustig believes, explains why many people can want, and apparently enjoy, never-ending quantities of food even when energy stores were long ago full – for example over the Christmas period. 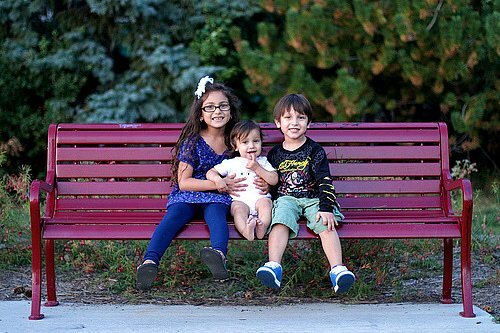 He fears insulin resistance (and therefore leptin resistance) may also start in the womb, and that exposure to high sugar diets – via the mother – may trigger genetic changes that increase a baby’s risk of insulin and leptin resistance in later life. However, Prof. Robert Lustig is part of the band of obesity specialists who question the validity of the hugely influential research conducted in the Fifties, which identified dietary fat as the trigger for weight gain and heart disease. The seminal Seven Countries study by U.S. epidemiologist Ancel Keys in the Eighties demonized fat, triggering a massive change in food manufacture. Gradually tastes and eating habits have changed, Robert Lustig says, resulting in growing populations worldwide inadvertently hooked on easy-to-eat high sugar foods. “Obesity is a hormonal problem and hormones are alterable,” says Prof. Robert Lustig. He recommends simple steps that can lower your leptin levels.